May it be your wife, your girlfriend, you brother, sister, mother, father, friends or even your boss, everyone likes to be treated well and shown that you care about them and a gift is perfect to show such an emotion. Here is where a real problem presents itself, not everyone possesses the ability or rather the talent or patience to know what gift should be given to whom. Sometimes gifting your boss a set of bed sheets is not a very good idea. Here is where BoonToon provides the simplest and most effective solution. BoonToon provides its users with a great platform where every gift is sorted out to a particular recipient’s need. On BoonToon.com you can find a gift for almost anybody. 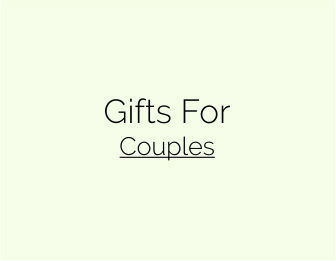 The categories include gifts for your wife, father, employees, girlfriend, best friend and even your grandparents. This comprehensive search and segregate platform has made picking out gifts easier than picking out bread. There are gifts available for any recipient for every occasion, may it be a gift for your boss on their retirement, or a gift for your wife on your anniversary, every occasion has a perfect gift. Over a thousand users have benefited from this great opportunity and gifted their loved one’s things that have made them very happy. These hundreds of thoughtful presents and ideas have been sorted out with great amount of research and successful surveys all over the country. Use this unique opportunity and find gifts for everyone in your life, make them feel special and cement a place in their hearts because nobody knows what relationship can turn into a strong bond. This is usually achieved by making them realize that you care. So never forget, the effort one puts into finding the perfect gift is always almost reared with beautiful and fruitful partnerships.